A1 adenosine receptors (A1 receptors) are widely expressed in mammalian tissues; therefore attaining proper tissue selectivity is a cornerstone of drug development. The fact that partial agonists chiefly act on tissues with great receptor reserve can be exploited to achieve an appropriate degree of tissue selectivity. To the best of our knowledge, the A1 receptor reserve has not been yet quantified for the atrial contractility. 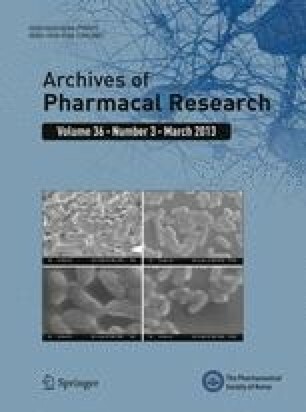 A1 receptor reserve was determined for the direct negative inotropic effect of three A1 receptor full agonists (NECA, CPA and CHA) in isolated, paced guinea pig left atria, with the use of FSCPX, an irreversible A1 receptor antagonist. FSCPX caused an apparently pure dextral displacement of the concentration–response curves of A1 receptor agonists. Accordingly, the atrial A1 receptor function converging to inotropy showed a considerably great, approximately 80–92 % of receptor reserve for a near maximal (about 91–96 %) effect, which is greater than historical atrial A1 receptor reserve data for any effects other than inotropy. Consequently, the guinea pig atrial contractility is very sensitive to A1 receptor stimulation. Thus, it is worthwhile considering that even partial A1 receptor agonists, given in any indication, might decrease the atrial contractile force, as an undesirable side effect, in humans. Atrial sensitivity to A1 receptor stimulation. This study was supported by grants of Hungarian Scientific Research Fund Programs (OTKA-K 72315; TAMOP 4.2.2-08/1-2008-0007; TAMOP 4.2.1/B-09/1/KONV-2010-0007; and TAMOP 4.2.2.A-11/1/KONV-2012-0045), furthermore it was supported by the Sectoral Operational Programme Human Resources Development, financed from the European Social Fund and by the Romanian Government under the contract number POSDRU/89/1.5/S/60782.